To Alex Ross' growing list of Cage centenary events I would add Aldeburgh Festival's John Cage Musicircus curated by James Weeks and Exaudi on June 23. As the Aldeburgh Festival brochure explains - a plethora of Festival artists and others fling open the doors of the Hoffman Building and let the sound stream out. 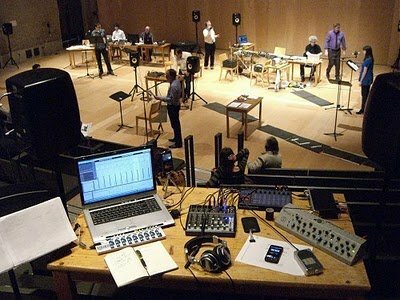 Centrepiece of the Musicircus is a repeat of Exaudi's performance of the John Cage Song Books. Their first performance at Snape of the Song Books provides my header image and an article here, while you can listen to James Weeks talking to me about Elisabeth Lutyens and more in an iTunes podcast here.